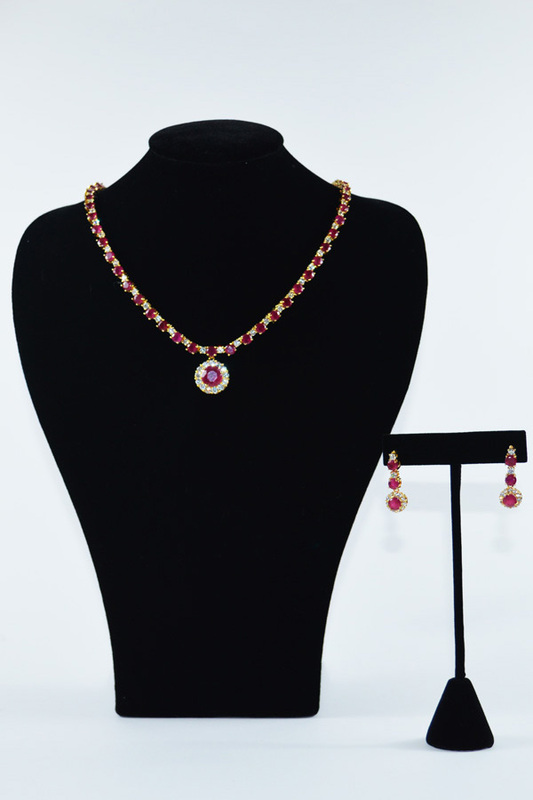 A traditional matinee length necklace with garnet and white stones. Comes with matching dangling stud earrings. Clean with soft cloth if required.